Paul is a Chartered Surveyor working for property consultancy firm JLL in Bristol. 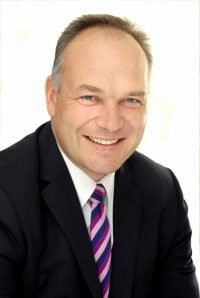 He has worked in the City for nearly 30 years and is involved with the acquisition, disposal and development of land for landowners in the private and public sector, property developers, occupiers and Funds across a broad range of uses including housing, healthcare, hotels, restaurants, industrial and offices. Projects include the acquisition of the Former Royal Mail Sorting Office site next to Temple Meads Station for the new University of Bristol Temple Quarter Enterprise Campus; Advising a specialist hotel developer/operator in the acquisition and development of a site in Central Bristol for a top quality hotel, conference centre and restaurant quarter; Advised University of Bath and South Gloucestershire Council on the acquisition of the Forum, Innovation and Grow-on Centres and residual undeveloped land at the Bristol & Bath Science Park. He is President of the Bristol Property Agents Association which for over 70 years has provided guidance, opinion and leadership on issues affecting the city of Bristol’s future prosperity, as well as working to stimulate inward investment and promote a positive image of Bristol.